Kedleston Windows provides high-quality aluminium double glazing for clients in and around Derby. Our highly trained team of experts will ensure that your new aluminium double glazing is fitted to the highest standards, and lasts a lifetime. Here at Kedleston Windows we believe in offering our clients in and around Derby high-quality products and a great service. Unlike many other companies, when it comes to installing your new aluminium double glazing we’ll carry out the job from start to finish as part of our complete service. This not only gives you continuity in terms of who you’re dealing with but we also believe this helps us build a relationship, allowing us to figure out together the best possible aluminium double glazing product for your Derby home. 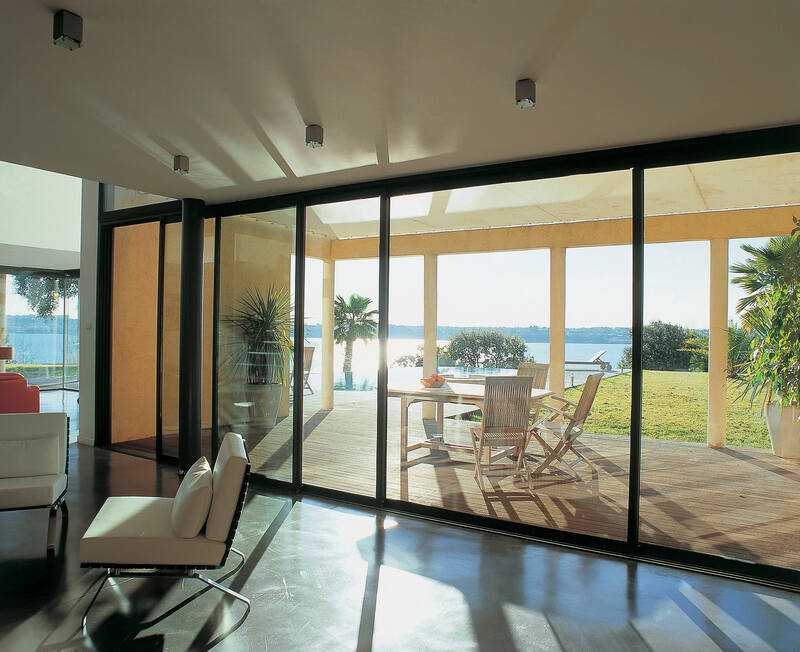 All of our aluminium double glazing products are highly energy efficient and improve the security of your home. Now that double glazing is fast becoming the standard when it comes to glazing options we thought we’d let you in on the science behind it all and prove why aluminium double glazing really is the best choice for your Derby home. It’s fairly simple really, two panes of glass are fitted within a frame, the distance between these two sheets of glass enough to trap air between them but not enough to allow that air to move and circulate. This forms what is called a thermal barrier, which is what happens when air remains in the same place. This unmoving air prevents unwanted cold air from entering your home and the warm air you pay so much for from leaving it. Our aluminium double glazing is made from the highest quality products in order to provide you with the best possible results in terms of energy efficiency and insulation. By choosing aluminium double glazing for you Derby home from Kedleston you’re reducing your carbon footprint and saving yourself money. Recent research from the National Insulation shows that homes can lose up to a staggering 20% of their heat through poorly insulated windows and doors. That’s 20% of the heat that you pay for through your energy bills. Not only are our windows fitted by a highly trained, incredibly professional team but they’re also designed to save you money. The frames for our aluminium double glazing products are built to channel air through them, preventing water build up on the inside and securing the glass in place. All of our aluminium double glazing products are also internally beaded for greater protection and improved thermal efficiency. So how do our aluminium glazing products save you money? Well, that part’s pretty straight forward. Our aluminium double glazing products prevent heat from escaping your property through the window frames and poorly insulated glass. If warm air, which you pay for through central heating and energy bills, cannot escape and cold air cannot get in it allows your home to remain at a more constant temperature. This means you’ll use your heating less and, when you do, you’ll be able to keep it at a much lower, cheaper temperature and yet your home will be far warmer. Kedleston Windows is a family run business with safety and security for your home at its heart. We understand that keeping your home and family safe is of upmost importance to you and, as such, we have designed products that improve the security of your home. 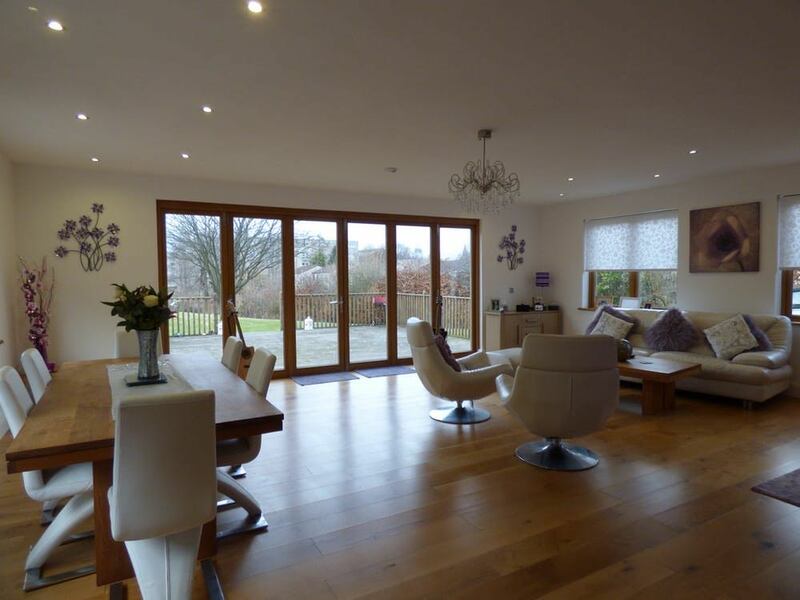 For a long time, windows have been viewed as one of the weakest parts of the home, the easiest place for intruders to break in through but with aluminium double glazing from Kedleston this risk is greatly reduced. All of our aluminium double glazing products are fitted with the best, highly robust stainless-steel locks to help keep you and your family as safe as houses. In addition to this we’ve ensured that all of the areas which are usually targeted by thieves are now placed within our reinforced frames. This means that all locks and hinges are safe and secure. Upon installation our team will be happy to give you a full demonstration on how you new aluminium double glazing products work. At Kedleston we aim to provide you with the highest quality products with the best possible service. This idea, plus years of experience has lead us to forming an excellent reputation for wat we do. For us, the most important thing is customer satisfaction and so we try to be as competitively priced as possible, so you get the best deal. Our years of expertise has lead to us being accredited by FENSA, CERTASS and Stroma as well as being Secured by Design and Trusted Trader certified. This means you can be certain that we will provide only the best for you and your Derby home. To start your aluminium double glazing quote today head over to our online quoting engine, it’s super quick and simple. If you would like to speak to a member of our knowledgeable and helpful staff simply call 01332 737885, or email us at sales@kedlestonwindows.co.uk.